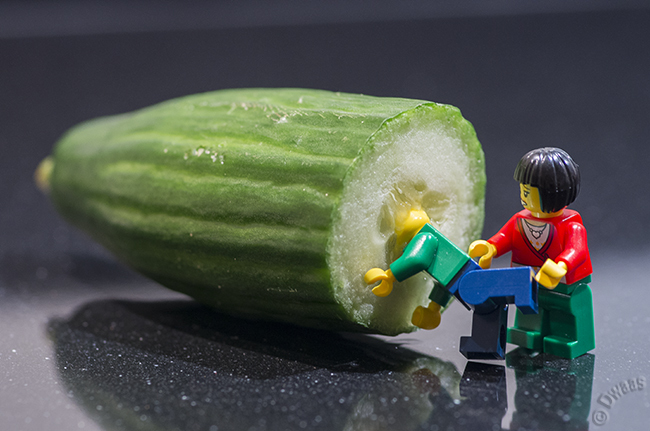 Jake always wanted to know what a cucumber looked like from the inside. So far it was pretty disappointing. Oh, and before I forget; HERE ’s an episode of Foolish Lego the web-comic! Number 40! He is not exactly a rocket scientistm, is he ?